You're probably wondering "who in the world is this Mike Jeffries character", right? Well Mr. Jeffries just so happens to be one of the top ten earning retail CEO's in the business, known as the chairman and chief executive office of Abercrombie & Fitch. 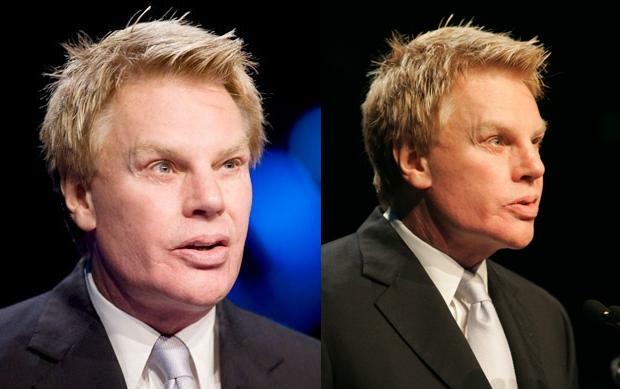 At first glance its quite evident that Mike Jeffries has endured a wealth of plastic surgery procedures, and in our estimation the presumed list would include a complete facelift, brow lift, an ample amount of Restylane or Juvederm lip injections, and perhaps a few botox injections to keep everything nice and frozen. Damn he is scary looking!